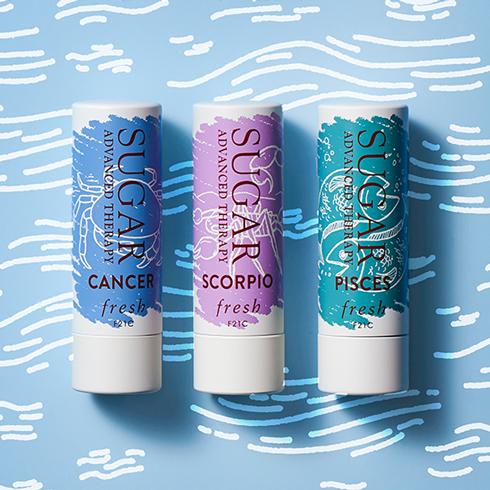 If you’re anything like me you’re gonna love Fresh’s limited-edition zodiac-inspired lip treatments. With an SPF of 15, the balm is formulated with moisture-preserving sugar, nourishing oils, and antioxidant-rich polyphenols, which means healthier, softer lips. 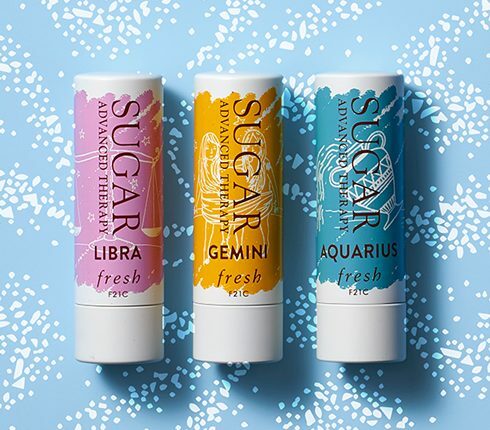 Find the Sugar Lip Treatment for $24.00 at fresh.com. The packaging for Aries is adorned with a magenta illustration to represent this sign as the life force of the Zodiac. The packaging for Taurus is adorned with a grass green to symbolize this rejuvenating time of year. 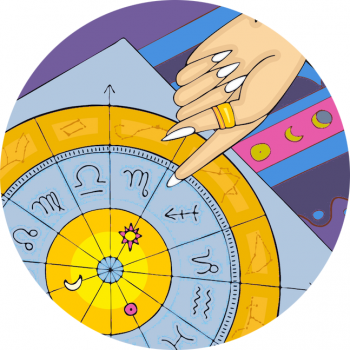 The packaging for Gemini is adorned with a bright yellow illustration to represent the brilliance of this air sign. 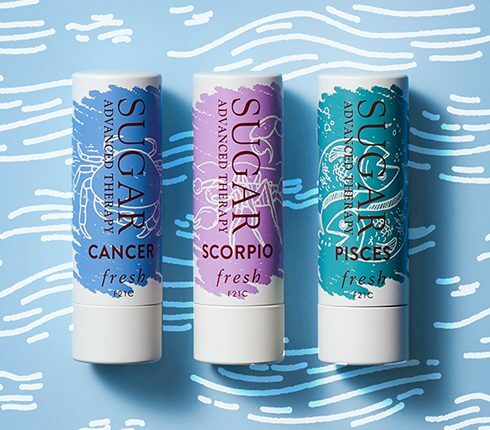 The packaging for Cancer is adorned with a silvery blue illustration to represent this sign’s love of water and the fact that Cancers are ruled by the moon. 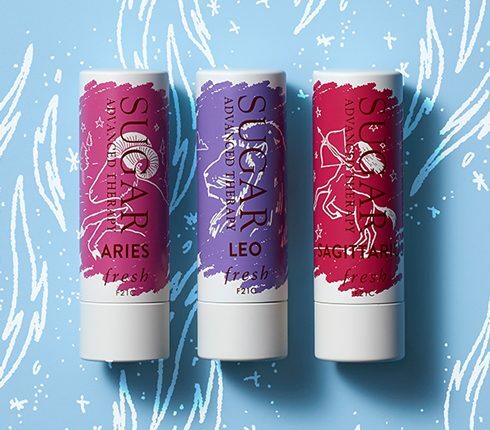 The packaging for Leo is adorned with a rich purple illustration (like the robes of a king or queen) to represent royalty. The packaging for Virgo is adorned with an olive green illustration to symbolize this sign’s purity and faithfulness. The packaging for Libra is adorned with a soft, feminine pink illustration to represent the goddess Venus, ruler of this sign. The packaging for Scorpio is adorned with a violet illustration to reflect the deeply emotional nature of this sign. 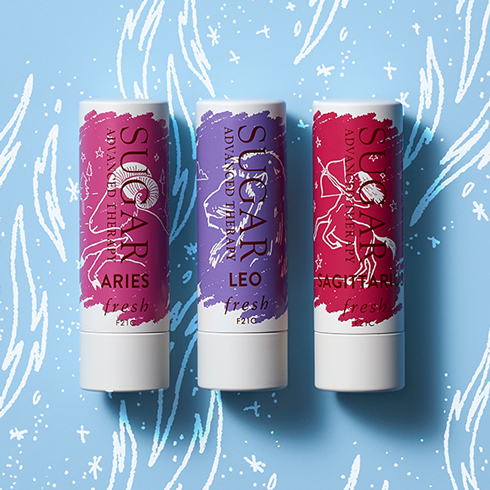 The packaging for Sagittarius is adorned with a maroon illustration to symbolize the end of the autumn season. 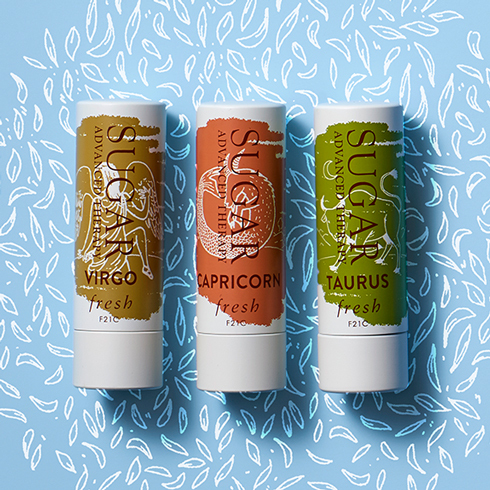 The packaging for Capricorn is adorned with an earthy orange illustration to reflect the determined, driven spirit of this sign. 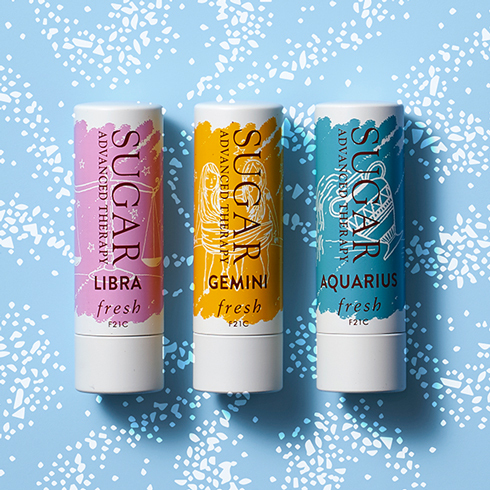 The packaging for Aquarius is adorned with a bright aqua illustration, because this futuristic sign keeps her gaze on the horizon. 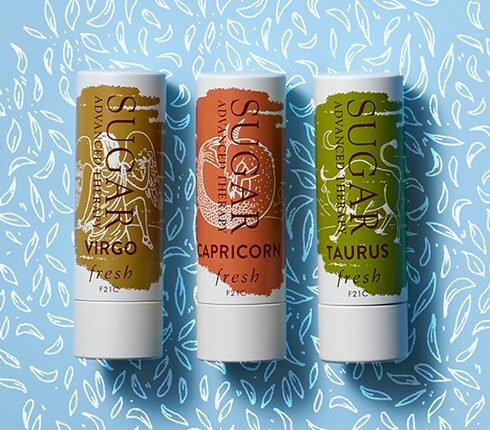 The packaging for Pisces is adorned with a turquoise illustration because this sign is ruled by Neptune, god of the sea.